Concrete is versatile, practical and "green" — no wonder it has become so popular in recent years. Whether it's polishing, staining, or dyeing, you'll understand why our customers in Austin and San Antonio keep coming back to the concrete experts at StoneCare of Texas. 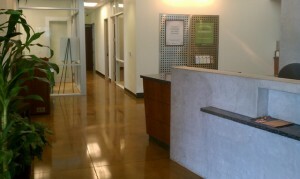 Be sure to visit our case study gallery to view examples of our concrete jobs. Did you know that with our concrete polishing and maintenance services you can save your company money, help the environment, and better meet safety standards? Our advanced concrete polishing technology makes it possible for you to say goodbye to waxing, painting, and toxic chemicals. Want to give your tired old concrete a new look without spending a lot of money? 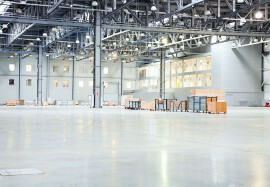 Stained concrete is a growing trend for both commercial and residential builders. Instead of covering a surface with an opaque material like paint, staining can permeate the concrete with a variety of translucent tones and hues. Transform gray, drab concrete into a colorful design statement. 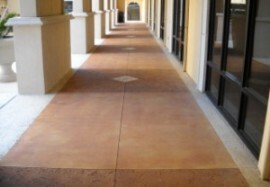 Dye new or existing concrete in ways you never imagined! Unlike staining, dyeing creates brighter, bolder colors that can perfectly match your decor. Our craftsman can achieve stunning results.